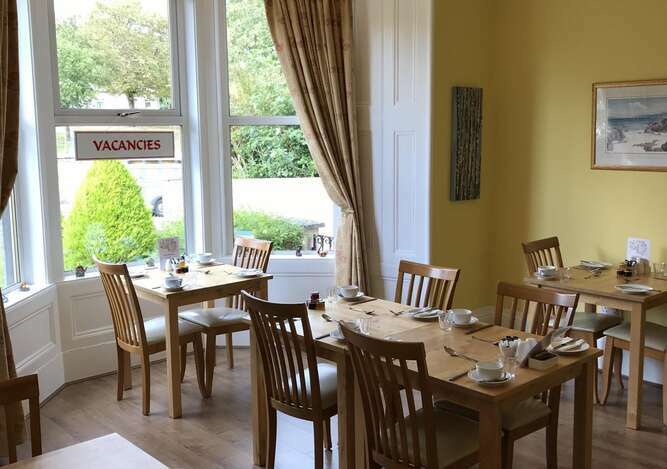 Start your day with a tasty breakfast at your own table in our bright dining room overlooking the gardens to the front of the house. 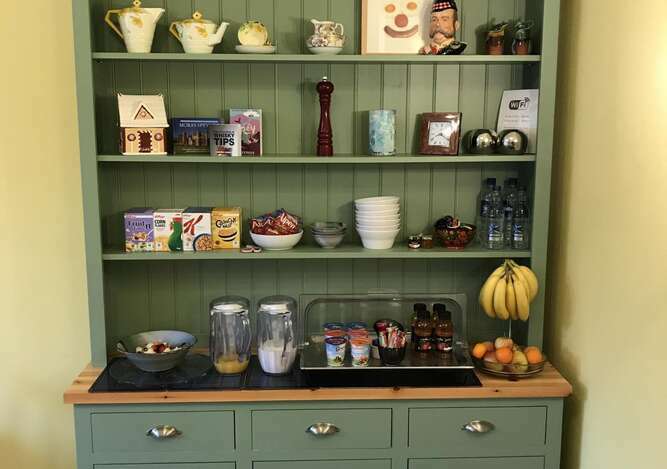 During the week breakfast is served from 7.30 am to 8.30 am and at the weekend from 8 am to 9 am. There are vegetarian options on the menu and we are able to cater for vegan or gluten free diets if given notice at time of booking. Whether you choose a light option or the traditional 'Full Scottish' you can be assured that it is freshly made and where possible Scottish and sourced locally. Our sausages are produced by our local burcher R.G. 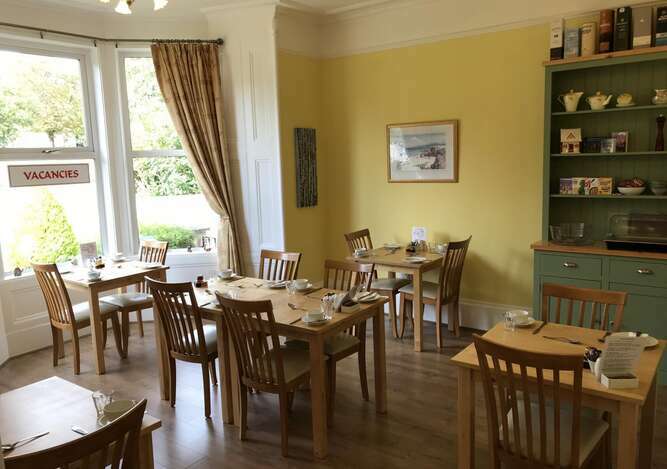 Macdonald in Elgin and the black pudding and bacon are produced by their parent company Fraser Bros in Forres..
Our breakfast menu includes fresh fruit juice, porridge, cereals, toast, a selection of whole fresh fruit, yoghurts and cheese. 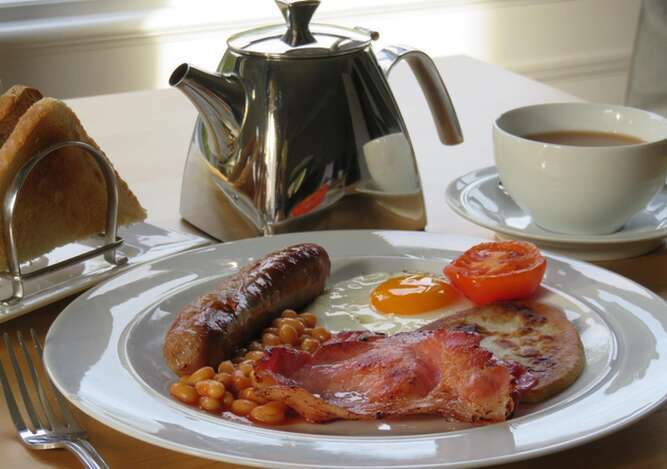 If you wish a cooked breakfast you could opt for the 'Full Scottish' :- pork sausage, bacon, free range eggs (poached, scrambled or fried), black pudding, potato scone, baked beans and tomato. 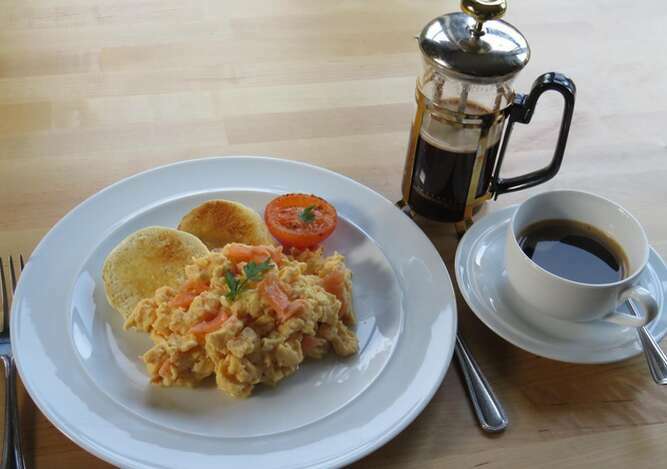 Also available are scrambled eggs with smoked salmon or spinach on our homemade toasted bread, or a choice of omelettes. Choose fair trade tea or coffee, or fruit tea to accompany your breakfast.